According to the latest research by the Vegan Society, conducted in 2016, there are estimated to be around 540,000 vegans in Great Britain. It's estimated that this is up from 150,000 in 2006, and that there are twice as many women than men who are vegan. Around 360,000 people also describe themselves as lifestyle vegans, who commit to only using or buying cosmetics and clothes free from animal products, for example. Supermarket chains in the UK are stocking more vegan options to keep up with consumers' food choices. Waitrose recently launched a dedicated vegan section in more than 130 shops, while Iceland reported that sales of its plant-based food have risen by 10% over the last year. Do influencers influence what we eat? Social media has had a big part to play in the rise of the plant-based lifestyle. Celebrities like Ariana Grande, Miley Cyrus and Ellen DeGeneres are some of the well-known figures who don't eat animal products, while #vegan has more than 61 million posts listed on Instagram. Veganism is a hot topic - the number of Google searches worldwide has also spiked in recent years. The search engine uses a number out of 100 to represent interest in a search term. In 2008, the word "veganism" had a popularity score of only 17 but it has increased to 88 only 10 years later. The top five most-searched questions on the topic in the UK ask what veganism is and what the arguments are for and against cutting out animal products. 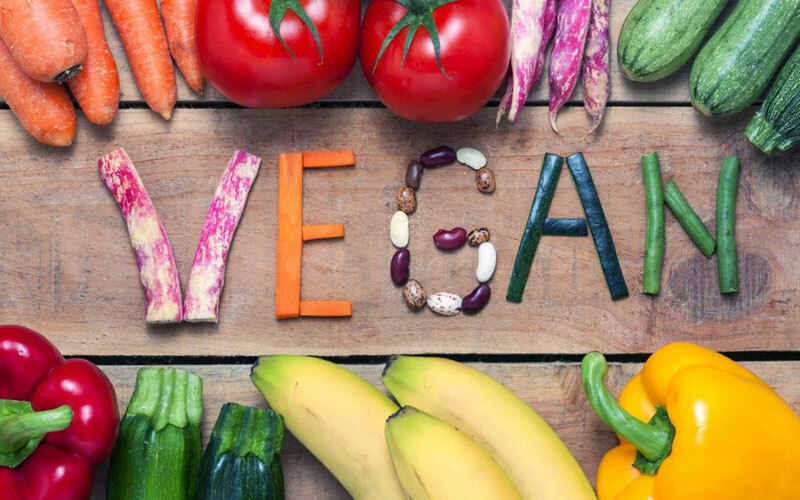 Giles Quick, director at market researcher Kantar Worldpanel, said: "The vegan market has changed fundamentally in the last six or seven years - it's now for everyone. "Social media has brought it to the forefront of customer's minds, and the mainstream. It's not seen any more as a choice for life, but as a choice for one meal, one moment, for one or two days a week." Flexitarianism, part-time vegetarianism or veganism, is becoming more and more popular. This January, more than 168,000 people pledged to go vegan for the first month of the year, under the Veganuary campaign. Why are more people going vegan? According to analysts, young women are driving the growth of the vegan movement. But, a range of reasons lie behind veganism's rise. A total of 49% of those interested in cutting down on their meat consumption said they would do so for health reasons, according to a survey of more than 1,000 adults in Great Britain by Mintel. Weight management, animal welfare and environmental concerns were also big motivators. With interest increasing all the time in healthy eating, part-time veganism might well become a full-time fixture in many people's lives.